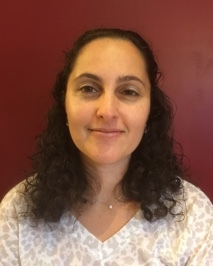 Dr. Karina Gitman brings a unique background to CNS as a graduate of a doctoral program in Counseling and School Psychology. She received extensive training in working with children and adolescents with developmental disabilities (autism spectrum disorders, intellectual disabilities, and learning disabilities) and behavioral and psychiatric problems (ADHD, oppositional-defiant disorder, depression, anxiety, and psychotic disorders). She also worked in and consulted with schools regarding educational planning and placement, participated in behavioral modification programs, and developed individualized behavioral and education plans. Dr. Gitman completed her doctoral studies at the State University at Buffalo, New York. Her research focus was on autism spectrum disorders and pediatric health psychology. She received post-doctoral training in neuropsychology at Jacobs Neurological Institute, serving primarily adolescent and adult populations. There, she gained experience in the neuropsychological evaluation of adolescents and adults with a variety of neurological and psychiatric disorders, including traumatic brain injury, stroke, demyelinating disorders, dementias, seizure disorders, brain tumors, substance abuse, learning disorders, schizophrenia, mood and anxiety disorders, and personality disorders. She also conducted capacity assessments, pre-neurosurgical baseline evaluations (e.g. for deep brain stimulation), and forensic examinations to determine claim validity. In addition, she worked with professional athletic teams in sport-related TBI evaluations. She also was involved in investigative research with local and national multiple sclerosis databases. As a therapist, Dr. Gitman has worked with children and adolescents with oppositional defiant disorder, ADHD, autism spectrum disorders, Asperger’s disorder, mental retardation, conduct disorder, borderline personality disorder, self-mutilating behavior, depression, and anxiety. She also developed and implemented behavioral and cognitive-behavioral treatment plans and counseled families and children. Finally, she has provided psychotherapeutic services to adults with depression and anxiety disorders as well as stress- and relationship-related issues. Dr. Gitman is licensed in Connecticut and New York. She joined Comprehensive Neuropsychological Services in 2011.